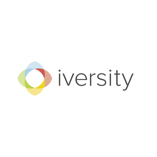 iversity.org is a platform for Massive Open Online Courses (MOOCs). Being based in Europe, iversity is able to take advantage of the European Credit Transfer System. Partnered institutions have the opportunity to offer exams that award ECTS credits. Climate Change and Health 5 weeks long 5 weeks long Self paced No reviews yet. Corporate Digital Learning Self paced No reviews yet. Wirtschaftsinformatik Self paced No reviews yet. Normes internationales du travail: comment s'en servir Self paced No reviews yet. International Labour Standards: How to Use Them Self paced No reviews yet. Normas Internacionales del Trabajo: Como utilizarlas Self paced No reviews yet. New Business Models - Working Together on Value Creation Self paced No reviews yet. Industrie 4.0: Den Wandel einleiten und erleben Self paced No reviews yet. Fair Wage Strategies in a Global Economy Self paced No reviews yet. Brücken bauen – Demokratie und Diversität in Deutschland bewahren! Valorisez les ressources de l'UE dans votre région ou ville 1-2 hours a week , 6 weeks long 1-2 hours a week , 6 weeks long Self paced No reviews yet. EU-Mittel für Ihre Region oder Stadt erfolgreich nutzen 1-2 hours a week , 6 weeks long 1-2 hours a week , 6 weeks long Self paced No reviews yet. 14th Jan, 2014 No reviews yet.